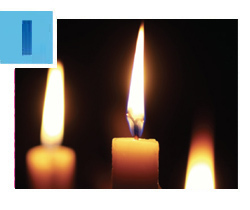 The Greater Miami Jewish Federation and our Jewish Community Relations Council condemn the escalation of horrific terrorist attacks on innocent people that took place throughout the State of Israel on Tuesday, March 8, 2016. A violent rampage in Petah Tikva, Jerusalem and Jaffa left more than 10 Israelis injured, and Taylor Force, a 29-year-old American tourist, dead. Palestinian incitement and glorification of these murderous attacks must end. Over the past six months, 34 innocent people have been killed in terrorist attacks and more than 390 people have been injured. We mourn for those who were killed, pray for the recovery of the injured and offer our condolences to the families of the deceased. Why wait for the call on Super Sunday, March 13? Be a superhero today! This Sunday – Federation’s largest annual community fundraising day – volunteers will telephone Jewish households across Miami seeking donations to the Annual Federation/UJA Campaign. Use your superpowers now and click here to support Jewish needs in Miami, in Israel and worldwide. Then join us to help others do some good deeds! 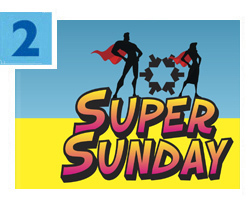 Robin and Dr. Baruch Jacobs are this year’s Super Sunday Chairs. Hundreds of legal professionals gathered this past Wednesday night for the 32nd Annual Judicial Reception, hosted by Federation’s Attorneys’ Division and chaired by Hilarie Bass and Harley Tropin. 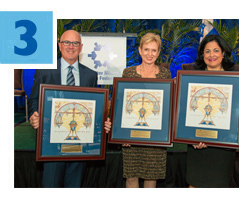 The highlight of the evening: the presentation of the Community Service Award to Judge Michael A. Hanzman, the Lifetime Achievement Award to Judge Laurel M. Isicoff and the Theodore “Ted” Klein Special Recognition Award to Judge Bertila A. Soto. If you weren’t able to attend, but want to learn more about the Attorneys’ Division, please email estone@gmjf.org or call 786.866.8414. This summer, travel with your friends to Israel on a free trip designed especially for Jewish Miamians ages 22-26. During this exciting 10-day Birthright Israel adventure, you’ll uncover 3,000 years of history, explore beautiful Israeli terrain, tap into the modern spirit of Tel Aviv, sample Israel’s exquisite cuisine, and so much more. Click here to register while space is still available! 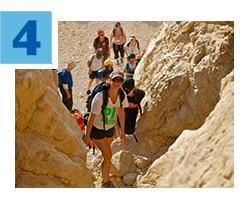 This trip is a gift from Taglit-Birthright Israel with additional support from Federation. Miami’s Jewish community is here to help 24 hours a day. If you or someone you know is in need of emergency financial assistance, food, bereavement support, counseling, domestic abuse assistance or aid with other challenges, call 305.576.6550. 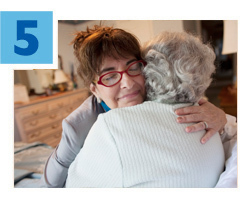 Operated by Federation’s partner agency, Jewish Community Services of South Florida, this confidential helpline can guide you to the services and information you need.